Gulp is built on Node.js and uses streams, pipes and asynchronous code to give you fast and efficient builds. There is also a great range of plugins available, that are simple to use and work just as you would expect them to. Another difference is that Gulp runs tasks as concurrently as possible, which means that the tasks are run alongside each other. Grunt is run in a sequential manner, and this can sometimes be slower. Another thing Gulp is great at is that it pipes data from one task to another. which means faster processing and more flexibility with the tasks. There are several other differences between the two, but ultimately they set out to achieve very similar results. It's a matter of preference. Gulp is flexible when it comes to the folder structure of your project, so once you understand the flow of Gulp build tasks you are able to tweak it for a specific project. So, lets create a new project and cd into it. Next run the npm init command to create a package.json file for the project. This will prompt you with several questions regarding the information for the project. You then need to install gulp into your project directory. If you run --save-dev alongside the npm command it will automatically save it to your package.json dev dependencies. Next you can create a gulpfile.js at the root of your project directory. To get started just add a simple default task to the gulpfile, and make sure to 'require' gulp. 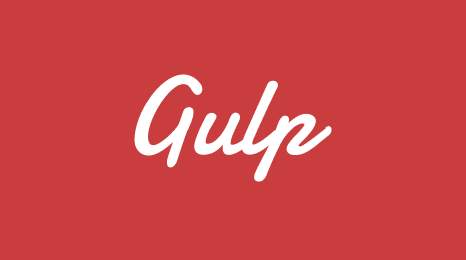 This simple code will allow you to run the gulpfile in your terminal using the gulp command. Gulp should run, do nothing and then quit because no tasks were defined in the default task function. To start with we will have a basic setup in the app folder which will hold our index.html, sass, css, scripts and images directories. Another empty folder, build, is created in the root which will be where we compile our minified project. The node_modules folder is where all of the installed Gulp plugins will live and the package.json is where they are determined as dependencies for the project. The gulpfile.js is also created on the root and is where we'll be spending most of our time. Sass is a CSS pre-processor and is a powerful tool for implementing responsive styling to your applications. Browsers are currently not able to compile Sass on their own, and writing watch commands every time we edit stylesheets can get annoying. The dependencies will automatically be added to the package,json and are ready to be used. We then need to add them to the top of the gulpfile, below where we required gulp itself. Now we can create the task function to compile the Sass and minify the compiled CSS. If you read the following code step-by-step it's pretty easy to follow what is happening. This means that there were no errors in the code and the task was run successfully. If you look inside the app/ and build/ directories you will see the compiling and minification has worked successfully. The plugins can then be added to the top of the gulpfile along with the other plugin dependencies. Let's start with the HTML. All we need to do to minfy the HTML is to add a new task, set the source of the files we need, call the minifyHTML() plugin and finally set the destination for the changes. The image minification is done in much the same way. You can set the new task, set the source, then call the imagemin() function and set the destination. With this task there are several more options you can select. Setting progressive to true will add lossless compression for JPG files. You can check out some others at the npm page for the plugin. Now you are able to run $ gulp html, $ gulp images or $ gulp scripts in the terminal to run these tasks on the files in your app/ directory. If you then check the build/ directory the output should be as you would expect. Again we need to require the plugin at the top of the gulpfile along with the other plugins. And again we can create the new task, set the source location and call jshint(). For this task we don't need to specify a destination because the only output will be the JS lint in the terminal. And now running $ gulp jshint will give us a much nicer display of all of our errors. Now after all the effort we've gone through to compile and compress our project files, it's a good idea to check how much file space we are actually saving. There is a gulp plugin that allows you to do just that. Again let's install the plugin and add it to the dependencies. We can create two tasks here, one to check the size of the initial application, and one to check the size of our application in production. Let's create the tasks, set the source for the directories we want to check and we can set showFiles() to true to check the sizes of each individual file. Now if you run $ gulp size or $ gulp build-size in the terminal you will be displayed with the sizes for each of the directories. Now finally we want to be able to run our application on a server and for the browser to automatically reload every time we make a change to any file. Let's install browser-sync and add it to the gulpfile to start this off. Now we can create a task called serve which takes in all of the other tasks we've created as parameters so that they can be run concurrently with the serve task. We can also initialise browser-sync to run a server for the application we have set. Now we can add watch tasks to the default task from before. This task should be at the bottom of the gulpfile (just to keep things semantic). Here we define the new task and pass in the serve and styles task. We must pass in styles because the browser reload works in a different way for this task. We set gulp to 'watch' the source locations, and call the browserSync.reload function. Finally we must change the initial styles task to allow this to work. All this requires is to add another 'pipe' to the bottom of the task. After all this work (trust me, it's worth it) we can finally just run $ gulp in the terminal to automate all of the tasks we have defined. We only have to run this once and Gulp will automatically reload the browser and display any relevant errors messages in the terminal. Here you can find a GitHub Gist of my gulpfile from the article. 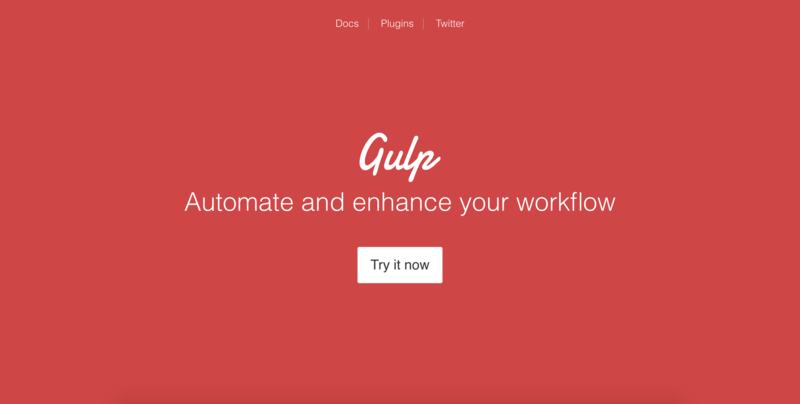 As you can see, Gulp is a very powerful (but simple) tool for small and large applications and I hope this article was helpful in understanding how to use Gulp tasks to automate your workflow more efficiently. Go ahead and check out the Gulp plugin documentation for a vast amount more useful plugins for your gulpfile.